Le Creuset® is one of the most trusted and treasured brands of cookware and bakeware. With their line of bold, distinctive hues, they introduced color in the kitchen, and when they add a new shade, it's an event in itself. 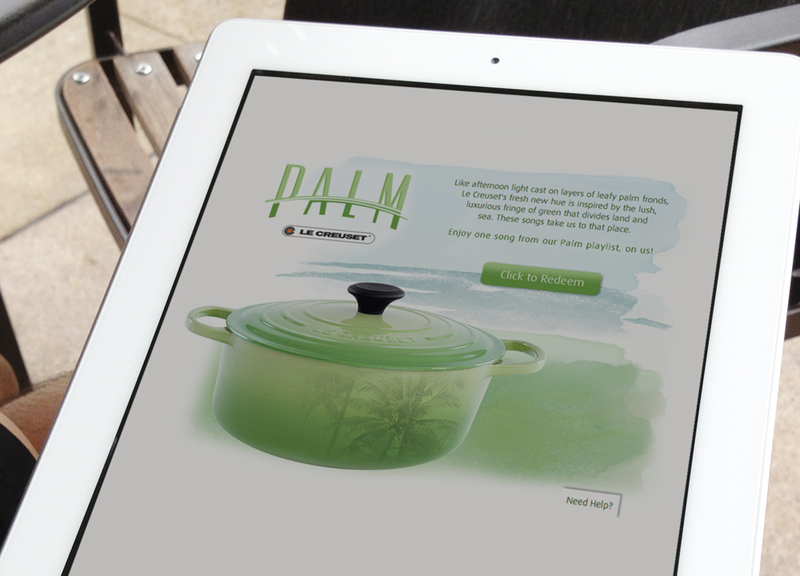 When they introduced their newest color, Palm — a lush green that calls to mind palm fronds — Le Creuset wanted to provide customers with a giveaway item that would complement the hue and bring to mind the same luxurious feelings. 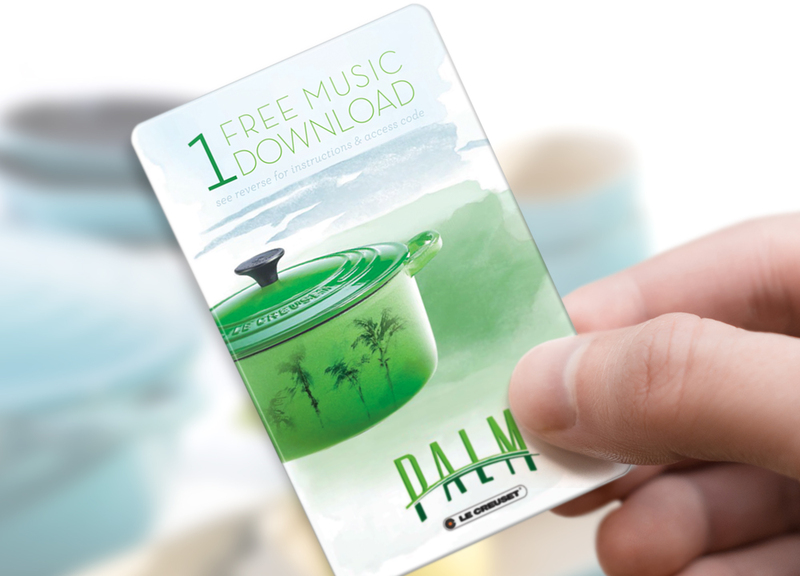 They included branded music download cards within the packages of the collection that gave recipients access to a playlist of beachy songs from popular artists like Jack Johnson, Iron & Wine, Jason Mraz, and more. By including cards within the product packaging, there was no additional delivery expense. Plus, since recipients could select the song they liked best from the playlist — or any other song in the 6 million song music catalog — it was a widely appealing gift that each customer could personalize and enjoy.